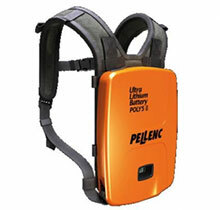 The Pellenc ULiB battery range is designed for professional tool use. ULiB batteries allow the user to work for a full day on a single charge! 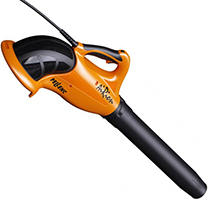 Pellenc is the only professional tool manufacturer to offer a whole range of tools that operate with ultra-high capacity multipurpose batteries. 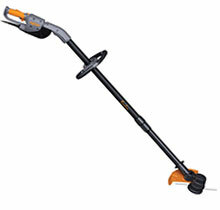 Excelion is a multipurpose brush cutter which can be used for finishing work as well as for cutting long, thick grass. Its ergonomics have been carefully designed for user comfort. Particular attention has been given to the carrying harness and the anti-vibration handle. 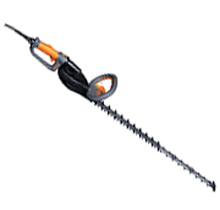 The Helion hedge trimmers are efficient tools which meet the needs of professionals in terms of power and trimming quality. Their odour-free operation and lightness allow the user to work comfortably when maintaining robust hedges or ornamental trees. The Airion blower can be used near noise-sensitive areas such as hospitals, schools, camp sites, towns, etc. It is also perfectly suitable as a cleaning tool for roads alongside sweepers at any time of the day and it works just as effectively as a replacement for the traditional sweeper in towns as it does in parks and gardens. 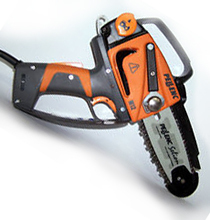 The Selion M12 is the lightest handheld pruner on the market with exceptional cutting quality and ease of handling. The only one of its kind in the world and can be used across a large range of applications from working the soil to weeding. Due to its lightweight and stable characteristics, Cultivion is very easy to use and allows you to work on the ground surface as well as below. 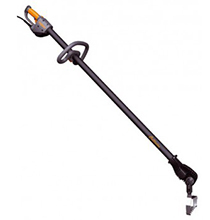 Our company has over 40 years of experience in the business and can help provide you with the correct Pellenc tool for the job and to keep you and your machinery on the move.